Moringa Leaves Powder – 10 Surprising Benefits. Moringa Oleifera has multiple health benefits. It is gaining more and more popularity in the recent days as a ‘superfood.’ What is moringa good for? Well, the list of benefits you derive from moringa can be literally long. 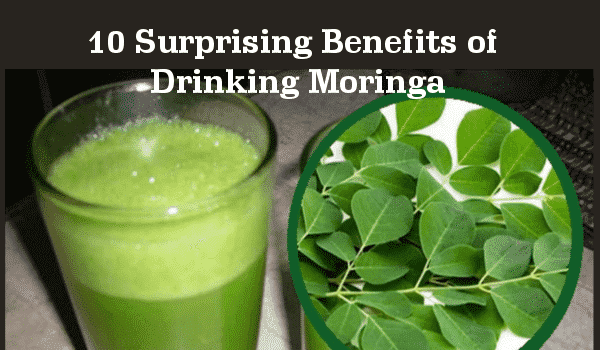 Here is the list of 10 powerful benefits of drinking moringa leaves powder every day. If you have a moringa tree in your home means you can easily get the adequate nutrients. Moringa leaves are packed with nutrients. It makes an excellent source of calcium, minerals, micro-nutrients and vitamins. Especially, it is one of the richest sources of iron. 50 grams of moringa leaves contain 8 X more calcium than milk and 12 times more iron than spinach. The beta carotene properties are 10X more than when you get from carrots. It contains zinc, potassium, and Vitamin B. It also contains a higher amount of protein than eggs. A cup of moringa has 4X more protein than an egg. It makes the complete protein due to the presence of amino acids. So, if you have the question, what is moringa good for, this is the answer. Moringa is for its nutritional values. Oxidative damage not only happens externally but also affects the organs. Drinking moringa every day helps to reduce and to regulate the oxidative stress to various organs. Moringa leaves powder benefits diabetic patients on many levels. Packed with nutrients, it gives you all essential nutrients and improves your metabolism. As stated above, moringa is one of the richest sources of calcium. Calcium is the core nutrient required for healthy bones. Bone health tends to deteriorate in the 30s. In the past few years, many new health conditions piled up, associated with poor bone health. For instance, osteoporosis – porous bones; bone degeneration; severe back pain (associated with weak bones); knee and joint pain; etc. As a part treatment in HIV positive patients, moringa leaves gained an important place. It is used as a herbal supplement in the therapies. Isn’t it impressive to know that moringa has anti-cancer properties? This specific benefit of drinking moringa everyday acts as a collective of all benefits and nutritious properties. The ability to fight against free radicals keeps the cells and tissues healthy. Prevents the cellular level damage due to free radicals which indicates a growth of cancer cells. It contains the antioxidants like kaempferol, rhamnetin, Quercetin etc which keep the cells and tissues healthy, free from oxidation. Detoxifies the body and strengthens the immunity. One of the most powerful benefits of drinking moringa every day is the protection of your liver health! Click To Tweet Liver is one of the important organs responsible for many vital functions. The liver is responsible for bile, metabolizing fat, process nutrients, etc. Moringa contains a high proportion of polyphenols in leaves, flowers, and even the seeds. It slowly eliminates toxins and oxidation damage to the liver. What is Moringa Good for? The antioxidant ability of the moringa leaves powder benefits your brain health. It supports the healthy functioning of your brain and enhances the cognitive function. The magical remedy to lose weight. One of the major benefits of drinking moringa every day is weight loss. Click To Tweet Literally, half of the world population struggles to lose weight. There are thousands of supplements, hundreds of diet, and a massive market for weight loss population. Losing weight does not happen in a day. Inflammation happens in two ways. It is the immunity’s response to an injury or infection. It is a protective mechanism. On the other hand, inflammation grows as an indication of a prolonged health issue. Sustained inflammation leads to chronic health issues. We have seen the moringa leaves benefits. Here is a brief outlook on how to use moringa. You can use moringa in two ways, moringa leaves powder drink and moringa leaves. Many cultures used Moringa leaves for its medicinal and health benefits. It only takes a little time to cook the leaves in the form of stir-fry, leaves boiled with lentils, etc. Moringa leaves powder is available in abundance. So, to get all the moringa leaves benefits, it is ideal to use moringa as a drink every day. You can make a cup of delicious tea which energizes you. Here is the recipe for moringa drink. If you do not want a sweet drink, add salt and pepper and drink it warm. It is easy to make this moringa drink every morning. You can drink this twice a day.